The novel’s fictional character Parthenia Leila Ellis, of course, wore full black mourning because she was a new widow. But her good friend, the historical figure Elisa Brownlow might have worn something like this pretty plum wheat dress with bell-shaped Pagoda sleeves. 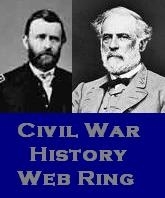 It was made by Civil War reenactor and dressmaker “sarahanne” of Virginia. 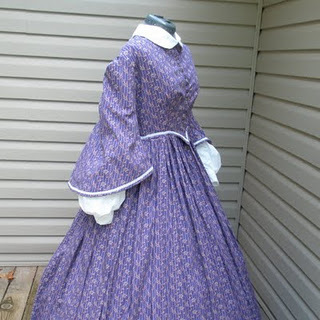 Her Victorian Times blog features this dress and others of similar design and materials. This entry was posted in Civil War clothing, Elisa Brownlow, Parthenia Leila Ellis and tagged Civil War clothing, Civil War dresses, Elisa Brownlow, Parthenia Leila Ellis. Bookmark the permalink.